Born in 1980, Charbel Samuel Aoun holds a master’s degree in architecture (2004). He stared his career as a conceptual designer in several architectural firms in Beirut and explored the fields of audiovisual and theatre. 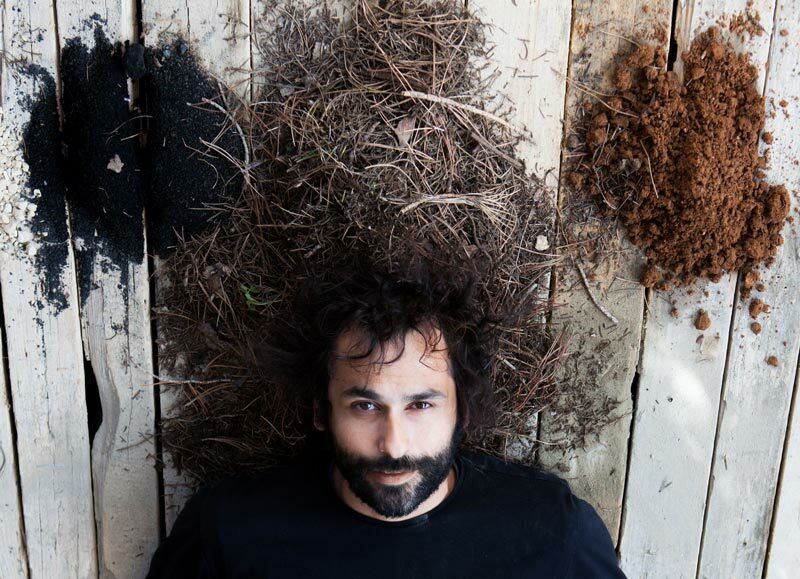 In the meantime, Charbel followed his other passion for art and started creating a wild garden, collecting hundreds of varieties of plants and trees, thus combining his education as an architect and his passion for nature by experimenting with different materials and elements, designing a system that both examines and questions social and environmental realities. The choice of the medium is part of an experience: the viewer is invited to embark on a sensual journey, where the rational and the emotional are triggered through a multisensory contact with the material. 2013 Biennale of young Mediterranean artists – Ancone, Italy.